The album that starts with a funeral and ends with "hello". 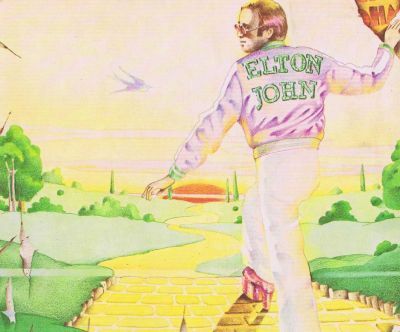 The determination of any musician's "best" album will forever be debated, but it can certainly be said that Goodbye Yellow Brick Road is Elton John's most identifiable work, most popular studio recording and the anchor of his four-decade deep catalogue. 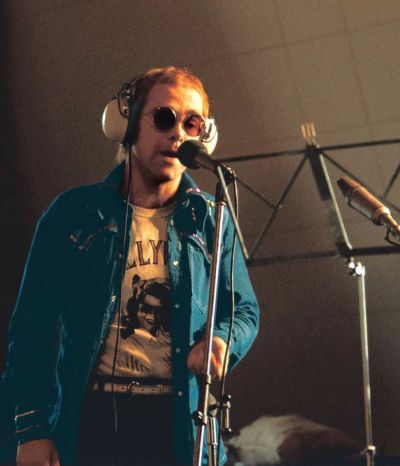 Originally, the location selected for recording Elton's seventh album was Dynamic Sound Studio in Kingston, Jamaica. The Rolling Stones had recently recorded Goats Head Soup there, and the facility looked very appealing to Elton and producer Gus Dudgeon for a variety of reasons. 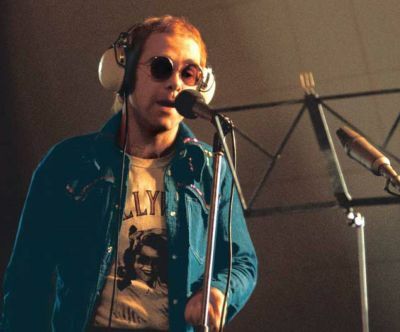 "In Jamaica I hope to be cut off and uninterrupted", Elton said in an interview with NME's Danny Holloway in early 1973. "Gus went to have a look at the studio and spoke to Charlie Watts, and he says it's really conducive to hard work. … [Studio owner Byron Lee] said we'd have to go there to really appreciate the feel." Goodbye Yellow Brick Road was released on October 5, 1973, on MCA Records in the US and Canada, and on DJM Records in the rest of the world. The album entered the Billboard Top 200 chart on October 20, 1973, at #17. Within a month it had reached #1 where it sat for eight weeks. It stayed in the Top 10 for 9 months and maintained a position on the Top 200 chart for an astounding two years. 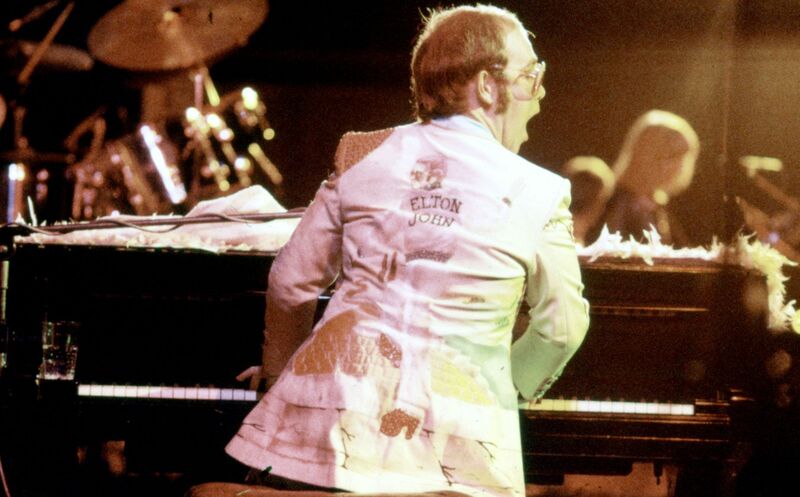 Since the recording of Goodbye Yellow Brick Road, Elton's concerts have consistently featured a number of its songs. 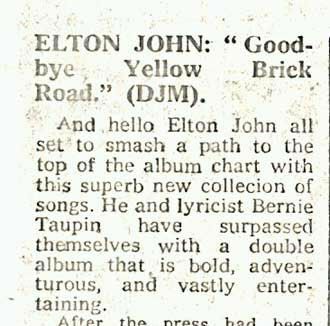 Goodbye Yellow Brick Road has continued to acquire accolades and awards in the years since its release. In 2000, Q magazine listed it as #84 in its list of the 100 Greatest British Albums Ever, and in 2003 Rolling Stone placed it at #91 in the magazine's 500 Greatest Albums of All Time. That same year the album was inducted into the Grammy Hall of Fame. Goodbye Yellow Brick Road was certified Gold (RIAA for sales of 500,000 units) on October 12, 1973. It reached 5x Platinum status on March 23, 1993 and its current 7x Platinum status was awarded on August 26, 1998. It also achieved Platinum status in the UK (BPI), for sales of over a million copies, on October 5, 1973. 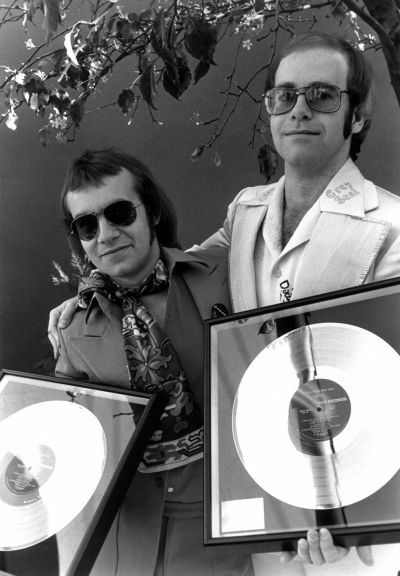 To celebrate the 40th Anniversary re-issue of Goodbye Yellow Brick Road, EltonJohn.com further delved into the creation of the album with a number of exclusive interviews and features. 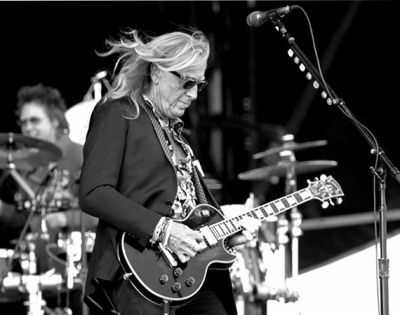 Davey Johnstone has been Elton’s guitarist since the recording of Madman Across The Water, in 1971. Two years and two albums later, Davey was back in the studio with Elton, bassist Dee Murray and drummer Nigel Olsson, recording Goodbye Yellow Brick Road. In this exclusive interview with EltonJohn.com, Davey talks about his memories of recording the album, both in Jamaica and France. In May of 1973, engineer David Hentschel went to the Château d’Hérouville in France to work on the Elton John sessions that would eventually become Goodbye Yellow Brick Road. In honour of the 40th Anniversary release of that landmark album, EltonJohn.com spoke with David about his role as an engineer as well as other aspects of the project.